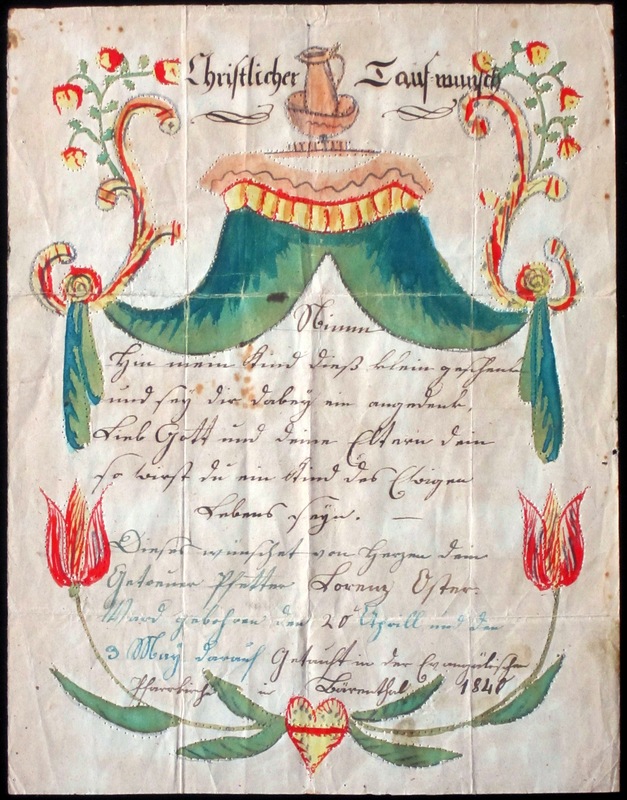 Uniquely designed baptismal fraktur given by godparent at Christening. Made by the unidentified Strassburg Taufbrief artist. 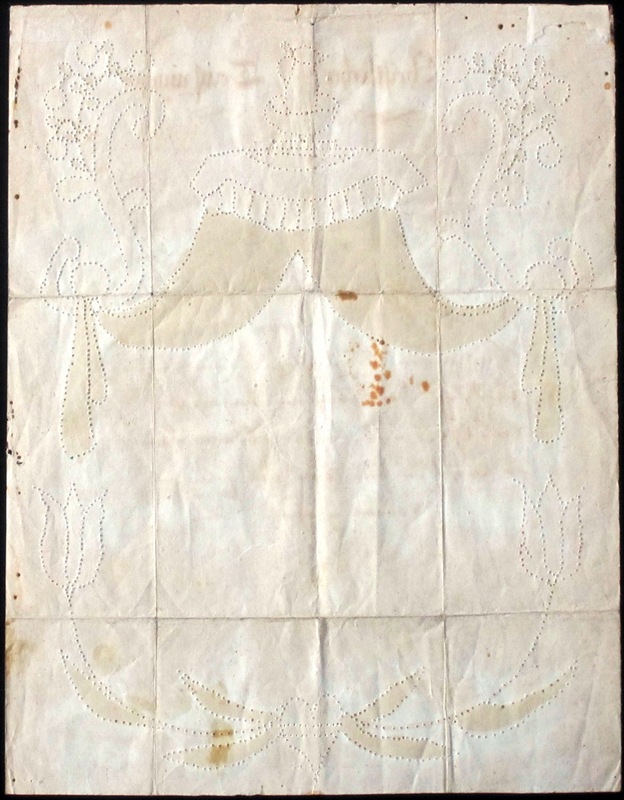 One of this artist's stylistic trademarks was pinpricked decorations. Opens with the words "Christian Baptismal Wish."